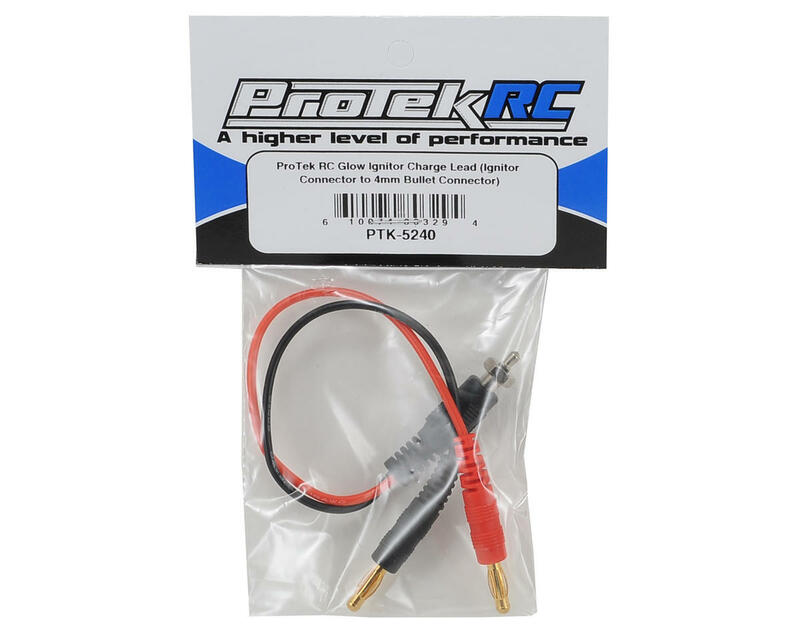 This is the ProTek R/C Glow Ignitor Charge Lead. 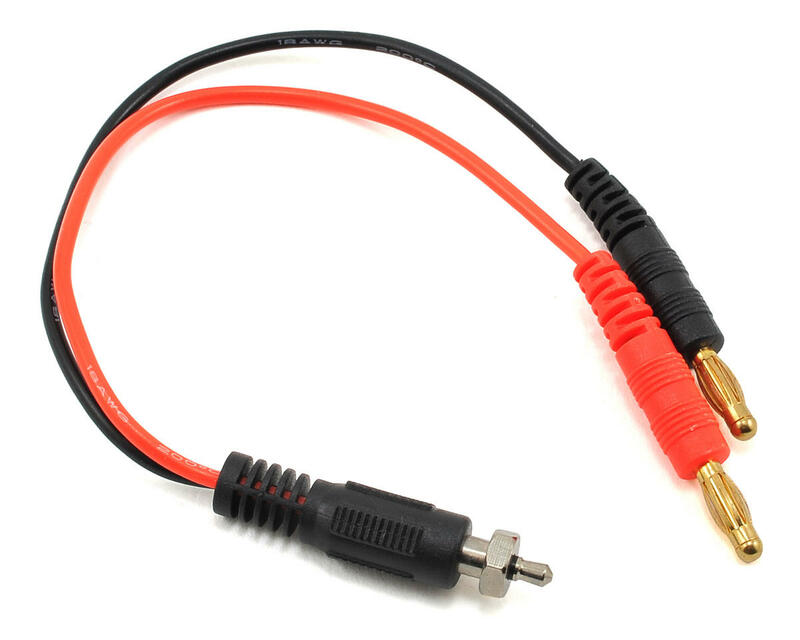 This charge lead has a glow ignitor connector on one end that your glow ignitor will clip onto, connected to 4mm banana plugs, with high quality 18 AWG silicone wire, to connect to your battery charger. This lead is 9 inches (22.9cm) long from end to end. Works perfect! Just what I needed to hook up my ignitor correctly to my charger. Great quality finish.